The Amur tiger is the largest of all wild cats. Its orange coloring is paler than other tigers and stripes are brown rather than black and are widely spaced compared to other tigers. It has a white chest and belly, and a thick, white ruff of fur around its neck. In the winter, its coat grows long and shaggy to adapt to the change in temperature. 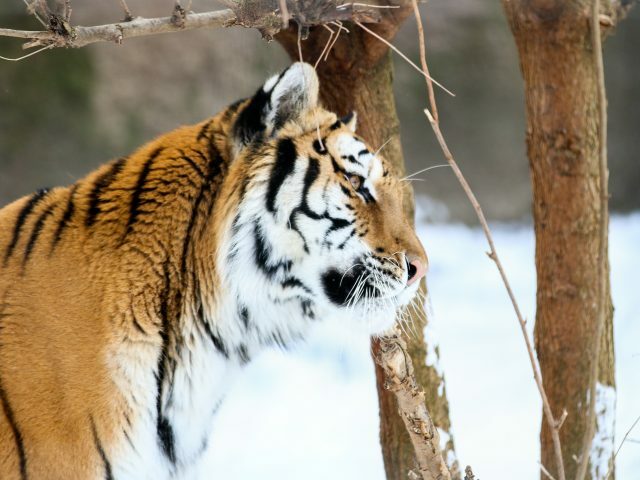 Except for a mother with cubs, Amur tigers are solitary animals. 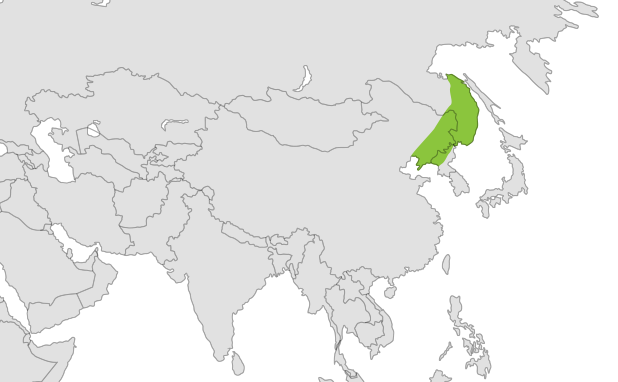 Amur tigers live in specific territories called home ranges and indicate their territories mainly by scent marking on trees, bushes, and the ground along the borders. They also often mark trees by scratching with their huge claws. Tigers are good swimmers and enjoy taking a bath in ponds or rivers. As poaching and habitat destruction take their tolls, it’s estimated that only 400-500 Amur tigers remain in the wild. This species is listed as a critically endangered. As poaching and habitat destruction take their tolls, it’s estimated that only 400 to 500 Amur tigers remain in the wild. 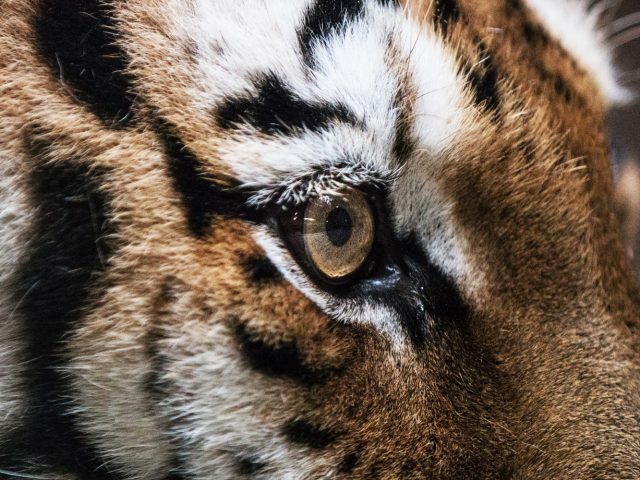 What YOU can do to help: Palm oil alone was accountable for the loss of 15 percent of tiger habitat just from 2009 to 2011. Be a responsible consumer and avoid food, cosmetics and cleaning products with palm oil. Click here to learn which products are better to consume. As nocturnal hunters, they stalk their prey by sneaking up to within 65 ft, then covering the remaining distance in just a few bounds. Male home ranges are large, sometimes 400 square miles and are occupied by a single male! We currently have two Amur tigers here at the zoo. Sivaki, our male, was born right here at PPZ in 2005. In September 2011, Sivaki and a female named Nikka had three cubs: Ameliya, Kira and Savelii. 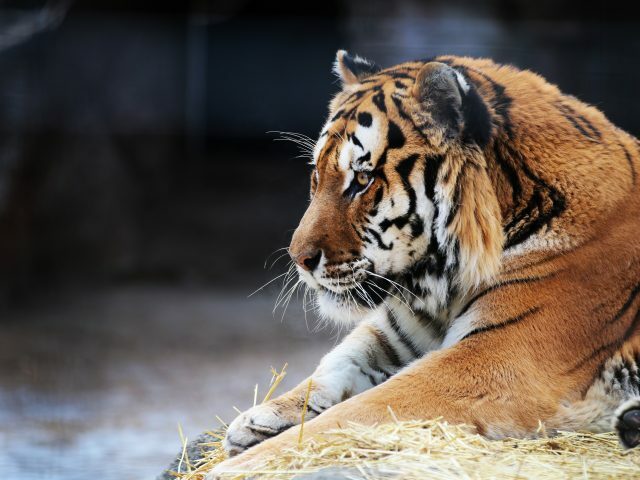 Kira and Savelii were transferred to the Bramble Park Zoo in South Dakota January of 2014. Nikka moved to John Ball Zoo in Grand Rapids. Now, Ameliya and Sivaki live in the Feline House here at the zoo. 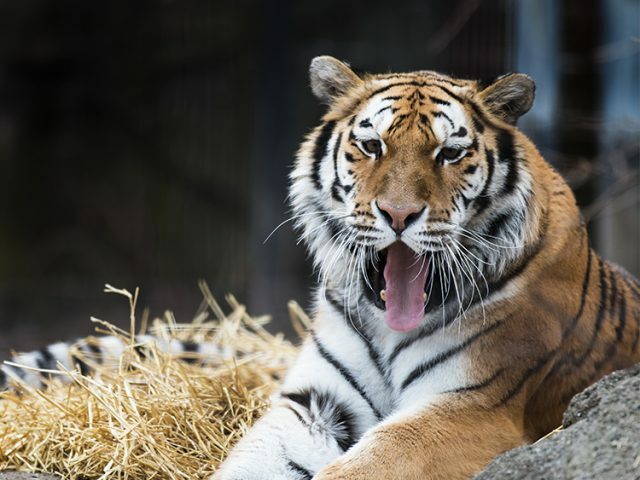 Amur tigers can grow to be up to 12 feet in length from their nose to the tip of their tail, and they can weigh in at a massive 700 pounds! 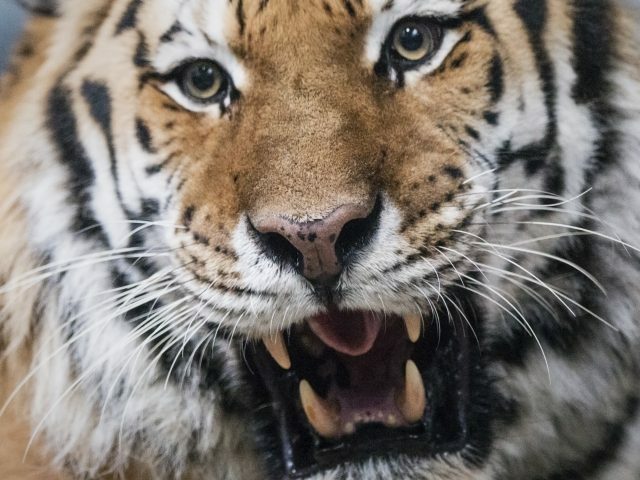 Tigers hunt many types of prey, but the favorites are deer and wild boar.